TAMINI is participating in the 3rd Session of the Qualitative Exhibition of Electricity. 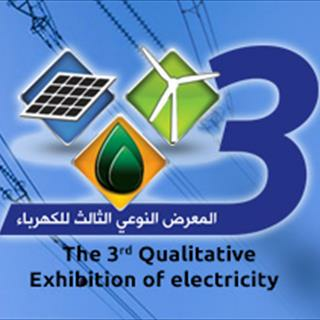 Home > News > TAMINI is participating in the 3rd Session of the Qualitative Exhibition of Electricity. From the 18th to the 21st of April 2016, TAMINI will participate in the 3rd Session of the Qualitative fair of Electricity, which is being held in Baghdad, Iraq. With the participation of more than 125 companies in the first Session, and 265 companies in the second, this event is considered the largest and most important in supporting service and industrial life in Iraq. The exhibition is held with the sponsorship of the ministry of electricity, the support of the council of ministers presidency and the ministry of oil, with the collaboration of the ministry of industry and minerals, the ministry of planning, ministry of science and technology, ministry of water resources, ministry of trade and the national investment commission. The fair attracts all global and local companies in order to recognize the present reality of the electricity sector and discuss strategies and future solutions. TAMINI will be pleased to participate in an exchange of views and give its ideas, thus providing the necessary solutions for the short term and long term for the new Iraq.